Manufacturing is the act of making, or producing your own Beer, Wine, Cider, or Distilled Spirits (aka hard liquor). You will need a license to manufacture alcohol. The act of manufacturing alcohol is regulated because liquor is a controlled substance. This business requires Federal, State, and even County, City, or Village licenses. To start, you will need a Permit from the Federal Government and/or the State where you will do business. Each State has different license requirements. These are usually governed by that States’ individual ABC laws (also known as Alcoholic Beverage Control or Commission Laws). In most cases you need BOTH Federal and State licenses to do business. • A Distillery license which allows you to manufacture hard liquor such as Vodka, Rum, and Whiskey. • A Winery license which allows you to produce wine. • A Rectifiers license which allows you to blend an already made liquor with your own unique flavor. You must have a company such as a Corporation, Limited Liability Company, or Sole Proprietorship registered to business in the United States. You must have a physical location within the United States such as an office for books and records and/or a warehouse to produce your product. Most warehouses will include a tasting room. In most cases you will NOT be able to produce beer, wine, or liquor for re-sale in a residential space. Location requirements are very specific depending on the State where you will do business, so it is important to know the requirements for your specific situation before investing money into a location. Call our experts today for more details on the requirements to become a licensed alcohol manufacturer! You can hold a straight license to manufacture alcohol. A manufacturing license’s main privilege is to make alcohol. However, most states allow you to wholesale the product you produce without the need for a separate license or additional state fees. This means that you can make your alcohol and you can also be a wholesaler. A wholesaler can distribute the product to retailers such as Bars, Restaurants, and Liquor Stores. A second way to do business as a manufacturer is to also combine your alcohol manufacturing with an eatery. A great example of this is what is commonly known as a brew-pub or a beer garden. The brew-pub license allows you to operate a restaurant as well as brew beer on site. Combining your Brewery, Distillery, Winery or Cidery with an eatery is a great way to attract patrons that want to see your manufacturing process and taste your product at the same time. A third way to do business as a manufacturer is to do “Contract Manufacturing”. This is a popular way to start as a manufacturer without your own commercial space. It means that you partner with an already licensed Winery, Distillery, Cidery or Brewery to produce your own formula on their premises with their equipment. This is a great option if you want to test the market with your recipe while keeping overhead costs low. 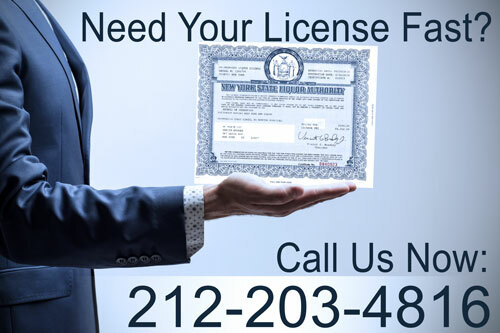 To see which method of operation is best for you and your business, call one of our license specialists today. Choosing the right license from the start can set you up for success.